I wish I could claim today’s ChanteSez, but alas, that credit belongs to Curtis Newbold, aka The Visual Communication Guy. 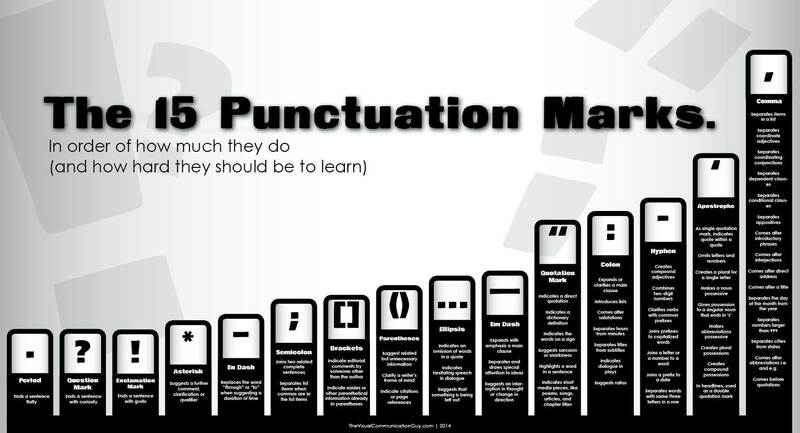 For those of you who are more visually inclined, his handy chart lists 15 of the most common punctuation marks, and amusingly, how hard they should be to learn. There’s the period at the low end, and the comma at the hard end. Check it out below. Thank you to Piggie for the tip!